A visit to a neighbor island just wouldn't seem complete without stopping for shave ice, so Breakwall Shave Ice was on our itinerary. But we didn't stop for just any shave ice - we made sure we were there for "adult" shave ice happy hour! Since I love all things with rum, I went for the Mai Tai. It was good, and I could really taste the rum, but my favorite part was the macadamia nut ice cream on the bottom (I really love ice cream)! 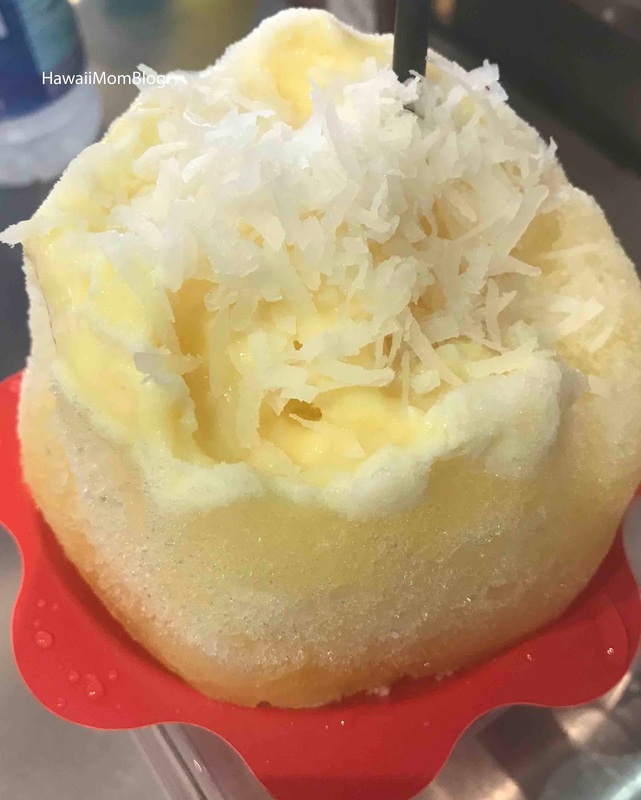 You have to eat the shave ice at the counter, and there was plenty of counter space, but it was quite a mess to eat! 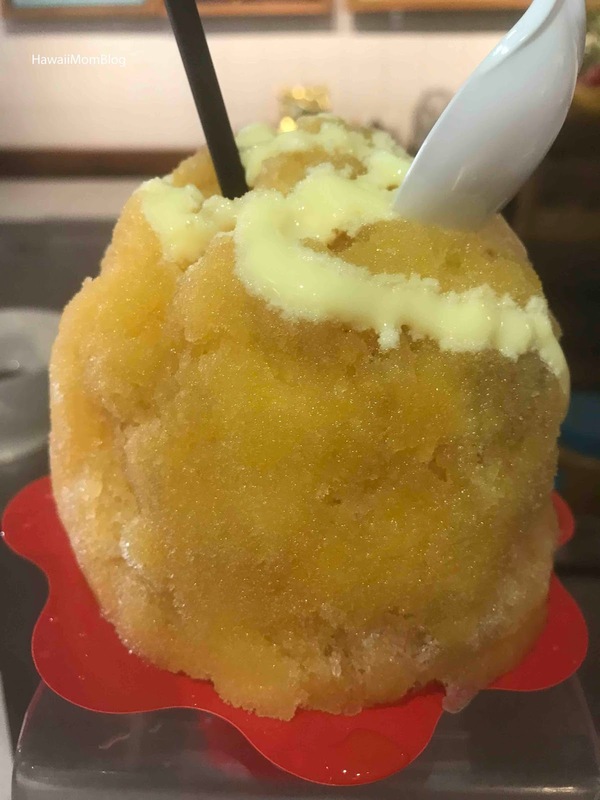 The employees said they may have put too much rum, which made the shave ice easily collapse, so we were given cups to scoop the shave ice into since we were making a huge mess! 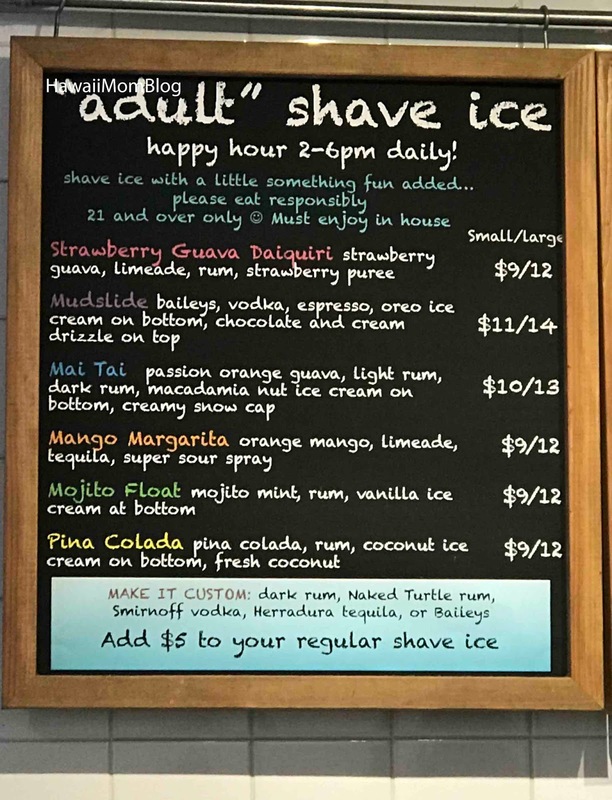 If you want a boozy treat, be sure to stop at Breakwall Shave Ice!